The idea of being governed by a monarchy causes diverse sentiments in the people of this day. Some people have the idea that monarchies are tyrannical and oppressive of the common people. Much to the contrary, monarchies have shown to be the most effective and stable forms of government. Like a father that protects and helps his children, the king protects and elevates his subjects. One of the many fruits of the Redemption was the development of the monarchy. After the Roman persecutions, Constantine allowed the Church to grow and work freely. Here again one sees how even the pagan tendency was toward this form of government, with its stability and practicality. Another step in the growth of the monarchy, 1500 years ago, was the baptism of the Frankish king Clovis by Saint Remi. This advancement finally led to the blossoming of great monarchy of the Middle Ages. In the Middle Ages, the monarchies flourished. Catholicism reached an apex, and the fruits and numerous accomplishments of the kings of that time are patent. Some of the best examples are Charlemagne, King Saint Ferdinand, Scanderbeg, and the illustrious John Sobieski. During the Moslem advance of the seventh century, Spain was taken over by the infidels. The Reconquista had already started when King Saint Ferdinand III of Castile and Leon was born, but still the infidels ruled a large part of the Iberian Peninsula with the rest under the control of many small principalities. This saint was the son of the King of Leon and the grandson of the King of Castile. His early life was spent at the court of King Alfonso of Castile. There he learned to fulfill his duties to the Church, his country, and his people, in addition to the arts of war. After a stay with the court of his father, his mother, the regent of Castile, called him back to take over governing. All acclaimed him as he was crowned in Valladolid.9 Soon after this event, his jealous father invaded Castile to seize the crown for himself. Fortunately, they made an agreement before the opposing armies reached each other. From the beginning he had to overcome many obstacles in his struggle for unity in the kingdom. The next problem met by Saint Ferdinand was the revolt of some nobles under the leadership of Don Alvaro Nunez de Lara.10 After many efforts, the king captured the rebellious nobles, establishing peace in his country. Then Ferdinand faced the Muslim menace and made his first incursion into the Moorish-held Spanish lands of Andalusia. The Castilian army destroyed the fields and vineyards of the Moslem inhabitants. To save their lands from destruction, small princes, like the king of Baeza, willingly became vassals of King Ferdinand. The castles and towns that would not submit to the king were besieged and forced into submission. The strong city of Granada submitted to his rule giving him many Spanish prisoners that had been taken during earlier wars. After many years as king, his father died and Leon acclaimed Ferdinand king. Now the king had to organize the two kingdoms. He had to establish a system of justice and order to replace the confused laws and regulations that were in use. This did not mean that he stopped the crusade against the Moslems. Instead, he directed many campaigns that finally led to the capture of the important town of Cordoba. With the astounding capture of Seville after an arduous siege, all of Spain was either in the hands of Spaniards or the vassals of Spaniards.11 Finally peace, unity and order was established in the kingdoms of Saint Ferdinand due largely to his magnanimous efforts. Another great prince-leader who succeeded in preserving his country’s freedom was the brave Scanderbeg of Albania. Captured at an early age, the Moslems tried to pervert him and turn him into a Janizary, but remaining faithful, he finally escaped with a large contingent of the Sultan’s army. He forced a secretary of the Sultan to write a document handing the government of Albania over to him. The Sultan, whose pride was greatly injured, wanted to have revenge on the “insolent rebel” who dared to stand up against the “invincible” Moorish armies that had already defeated the Byzantine Empire and so many other powers. After praying to the Virgin of Scutari (later known as Our Lady of Good Counsel of Genazzano), Scanderbeg led his outnumbered army against the Moslem host. An outstanding feat ensued, in which only seventy-two Moslems survived! As soon as Turkey resolved its internal problems, they sent an army of 200,000 men against Albania. In the following one-year siege, Scanderbeg not only led his army, but also fought. As a historian says, “his own blade flashed as the lightning and caused Moslem heads to fall like snowflakes where he passed.”12 Then after many more victories, the Sultan declared the “Sword and Shield of Christendom,” Scanderbeg, victorious and ceased hostilities. It was only through the presence of Scanderbeg that the weak Albanian people were able to defeat the Moslem hordes. If another less dynamic person tried to lead the Albanian people, they would have failed. At his death, the final defeat of Albania quickly approached. John Sobieski, a heroic Polish king in the seventeenth century, is an excellent a example of a great king in history. His country, weakened by a constitution that severely handicapped the power of its kings, was beset by internal jealousies and external enemies. This was the country that John Sobieski was to govern and defend for his entire life. Afterwards he helped his country by uniting the many selfish parties. Out of gratitude for his services, the government gave him a high rank in the army, in which he showed his ability by freeing some areas of Poland that the Moslems had conquered. Then a terribly incompetent king came to power. Only through the supreme efforts of John Sobieski was Poland saved as a nation. After overcoming the jealousies of many nobles, Sobieski was elected king of Poland.14 As king, he put out tremendous efforts to preserve the Polish nation, which unfortunately fell to chaos soon after his death. His main contribution to the rest of Christendom, after his election, was the aid lent to Vienna, then besieged by the infidels. When some nobles lagged behind, Sobieski set the example and left them and the main army, personally going to Vienna’s help.15 With a surprise attack through dense woods, the Moslem threat to central Europe was dealt a hard blow by our courageous hero. Austria was saved. Popes, theologians, and saints throughout the times have addressed the topic of monarchy. Foremost among them is the Angelic Doctor, Saint Thomas Aquinas. He clearly states that monarchy is the best regime because the rule of a monarch is guaranteed to bring peace through the unity of one leader, whereas other forms of government allow for disunion among numerous leaders.16 “Whatever is in accordance with nature is best:” he comments, “for in all things nature does what is best. Now every natural governance is governance by one.”17 Therefore the most natural and peaceful form of government is the monarchy. What of the wicked kings and queens such as Henry VIII, Henry IV, or Francis I? Surely monarchs can lead whole peoples astray. Nevertheless, we cannot deny the principle “Abusus non tollit usum”—abuse does not abolish use.21 If one person abuses or uses wrongly a car, the whole world does not stop using cars. Clearly monarchy has a prominent place in the political world. From its origins and as it progressed to its height in the Middle Ages with Charlemagne and King Ferdinand, the institution has been approved and blessed by God. This so much so that the God-man chose to descend from among its ranks. Taking into account the teachings of the Holy Church, as well as the natural law of hierarchy and the historical proof presented throughout time, there is no doubt as to the superiority of the monarchy. 1 Douay-Rheims Version, The Holy Bible, (Philadelphia: John E. Potter and Company, n.d.), 1 Kings: Chap. 8-16. 2 Sancti Bernardini Senensis Sermones, (Venice: in Aedibus Andreae Poletti, 1745), Vol. 4: p. 232. 3 Mois de Saint Joseph, le premier et le plus parfait des adorateurs — Extrait des ecrits de P. Eymard, 7th ed. (Paris: Desclee de Brouwer, n.d.): pp. 59-62. 4 Leonis XIII Pontifici Maximii Acta, (Rome: Ex Typographia Vaticana, 1898), Vol. 17: pp. 357-358. Discorsi del Sommo Pontefice Pio IX, (Rome: Tipographia di G. Aurelj, 1872), Vol. 2: p. 148. 5 Einhard, The Life of Charlemagne, (Toronto: Ann Arbor Paperback, 1964): pp.30-32. 6 R. E. Sullivan, “Charlemagne,” New Catholic Encyclopedia, Volume III, (Washington D.C.: The Catholic University of America, 1967): p. 497. 8 R. E. Sullivan, p. 500. 9 C. Fernandez de Castro A.C., The Life of the Very Noble King of Castile and Leon, Saint Ferdinand III, (Foundation for a Christian Civilization, Inc., 1987): p. 44. 12 Monsignor George F. Dillon, The Virgin Mother of Good Counsel: pp. 126-127. 13 A. T. Palmer, Life of Sobieski, (London: Longman and Co., 1815): p. 16. 16 Saint Thomas Aquinas, On the Government of Rulers, Gerald Phelan, trans. (London: Sheed and Ward, 1938): Book I, chap. 2, pp. 40-42. 19 Pii VI Pont. Max. Acta, (Rome: Typis S. Congreg. de Propaganda Fide, 1871), Vol. 2: p. 17. 20 Father Rodriguez, El Regimen Politico: pp. 61, 63. 21 Plinio Correa de Oliveira, Revolution and Counter-Revolution, (Foundation for a Christian Civilization, Inc., 1980): p. 129. Correa de Oliveira, Plinio. 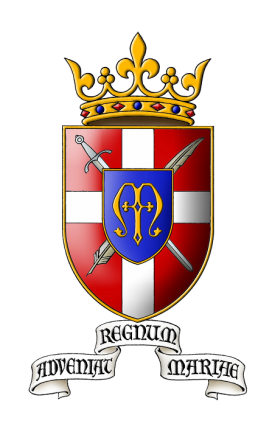 Nobility and Analogous Traditional Elites in the Allocutions of Pius XII. York, The American Society for the Defense of Tradition, Family, and Property, 1993. Correa de Oliveira, Plinio. Revolution and Counter-Revolution. New Rochelle, The Foundation for a Christian Civilization, 1980. Einhard, The Life of Charlemagne. Toronto, Ann Arbor Paperback, 1964. Palmer, A. T. Life of Sobieski. London, Longman and Co., 1815. Stoye, John. The Siege of Vienna. New York, Holt, Rinehart and Winston, 1965. Sullivan, R. E., “Charlemagne,” New Catholic Encyclopedia, Volume III. Washington, D.C.: The Catholic University of America, 1967.